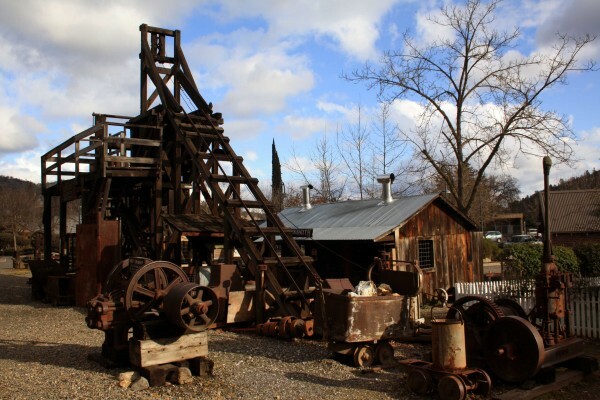 The Tuolumne County Historical society operates one of the best museums in the southern Mother Lode region. 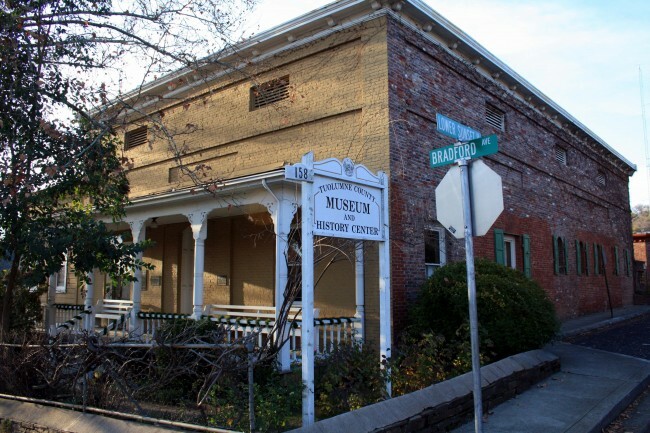 Located in the old Tuolumne County Jail, the museum’s exhibits are spread throughout the thickly-walled brick cells and the former living quarters of the jailer’s family. 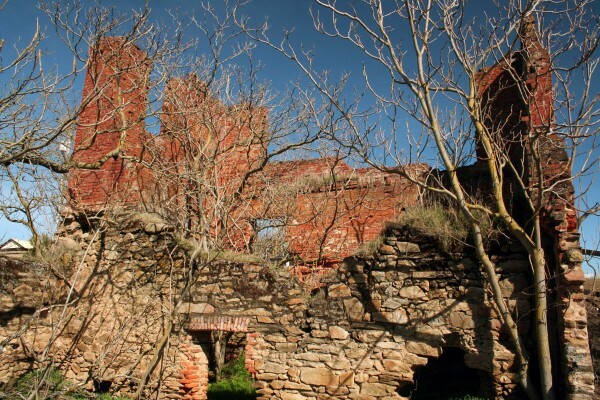 Constructed in 1857 and rebuilt in 1866 after a prisoner set it on fire, the jail was used continuously until 1961. Visitors today not only get a great museum experience, but also get to tour a historic jail. If you visit on a cold day, note that the glass in the windows of the cells is not original – when prisoners were housed in the building they had to live with the outside conditions – a far cry from incarcerations today! The museum’s excellent collection of old photos and artifacts brings the past to life – mining, logging, railroads, ranching, and rural life. The exhibits are interpreted by clearly-written signs. 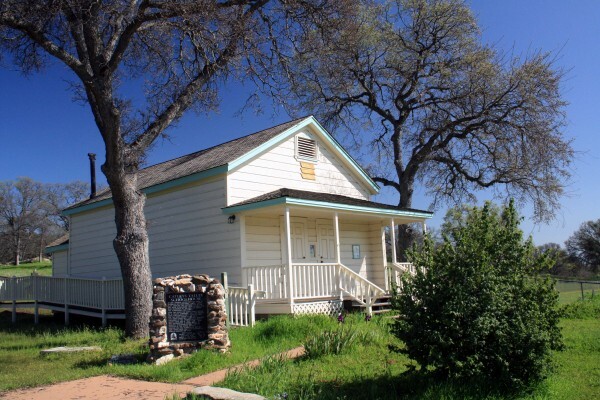 Located in Sonora, the county seat of Tuolumne County, the museum displays not only Sonora’s history, but also that of other communities from the Tuolumne foothills to the top of the Sierra Nevada. A detailed map located near the museum’s entrance identifies all of the current and former settlements in Tuolumne County. The historic gun collection is one of the best I’ve seen. Part of the display is a selection of ammunition in just about every caliber and gauge. If you’ve ever wondered how all the sizes compare, this is the place to find out. For those interested in the history of the High Sierra, an exhibit focuses on the history of nearby Sonora Pass (today’s Highway 108) and the pioneers who developed it as a trans-Sierra crossing. The museum is located at 158 West Bradford Avenue, two blocks from the city center. Directional signs on Highway 49 make it easy to find. The hours are 10-4 Monday through Friday and 10-3:30 on Saturdays. Helpful volunteers are available to answer questions and show visitors around. The TCHS has published a number of excellent books of local history. On my recent visit I picked up copies of Sonora Pass Pioneers and When Steam Was King, both of which increased my knowledge about the development of Sonora Pass and railroads in the Sierra foothills. They’ve also given me many hours of enjoyable reading. Special events including frequent presentations by local historians and an annual Lamplight Dinner fundraiser are also offered. In addition to the exhibits, an extensive research library is available for family historians and anyone interested in digging more deeply into the county’s history. The research library is open on Tuesdays from 9AM to noon. A donation is requested to help cover the cost of maintaining the collection and the facility. Just over an hour’s drive from most locations in Merced County, the museum is an easy day trip and can be combined with a visit to Sonora’s downtown, the Moccasin Hatchery, Jamestown, Columbia State Historic Park, Railtown 1897 State Historic Park, or any of the caverns in nearby Calaveras County. please to: http://tchistory.org/index.html or call (209) 532-1317. 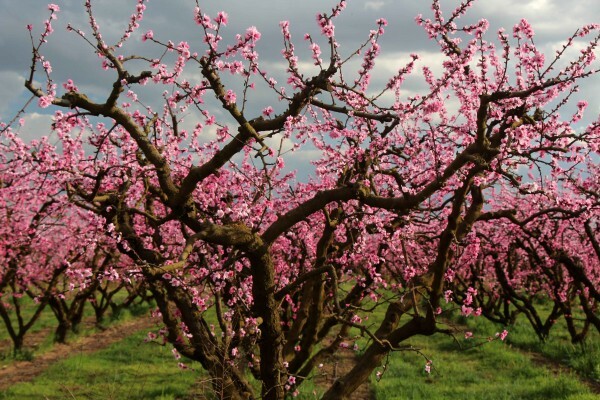 Within Merced County and an hour’s drive there are lots of venues to enjoy a wide range of performing arts and classic films. 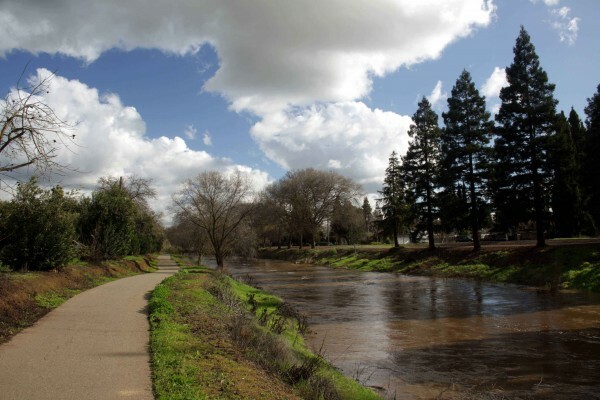 (For information on local art venues, click on these links for the Merced Multicultural Arts Center and Turlock’s Carnegie Arts Center). Since 1994, Playhouse Merced has offered a wide range of musical and non-musical productions that include new shows, classics, and pieces written for children and families. Averaging over 12 productions a year, it’s a great place to enjoy performances by members of our community and by visiting artists. Performances are generally staged with the audience seated on three sides of the stage, close to the action. The theater is located in downtown Merced, near Bob Hart Square. After a complete restoration to its 1931 movie palace grandeur, the Merced Theatre reopened in 2012. It now regularly features live music, comedy, classic films, community productions, and the Merced Symphony (http://www.mercedsymphony.org/index.html / 209-383-3277). 209-723-3265) performs at both the Merced Theatre and the open air theatre in Applegate Park. also offers drama, music, dance, and travelogues throughout the year. For more information and for a schedule of current and upcoming performances, go to:http://www.mccd.edu/thearts/ or call (209) 386-6644.
presents recitals and concerts throughout the year at the college’s Turlock campus. The Theatre Department also offers a variety of dramatic performances. and for drama go to http://www.csustan.edu/soa/theatretickets.html. You can also call (209) 667-3959 for information about both. Modesto’s premiere performing arts venue is the Gallo Center, featuring nationally-known musicians, drama, and comedy. Two years ago, I enjoyed seeing Hal Holbrook (86 years old at the time!) perform his one-man Mark Twain Tonight! show here. That’s the kind of talent that the Gallo Center attracts. It’s also home to the Modesto SymphonyOrchestra (http://www.modestosymphony.org/ / 209- 523-4156) and the Townsend Opera (http://townsendopera.com/ / 209-523-6426). Offers both live performances and classic films (http://www.thestate.org/ 209-527-4697). The students and faculty of Modesto Junior College regularly present dramatic, musical, and dance performances (http://www.mjc.edu/general/news/eventstix.html / 209-575-6776). To the east, the Sierra Repertory Theatre offers performances in both the East Sonora Theatre and the historic Fallon House Theatre in Columbia State Historic Park (http://www.sierrarep.org/index.html 209-532-3120). and Fresno Philharmonic (http://www.fresnophil.org/ / 559-261-0600). Also part of the Convention Center, Selland Arena hosts a wide range of events from basketball to Disney on Ice. For more information about the Fresno Convention Center, go to http://www.fresnoconventioncenter.com/. Also in downtown Fresno, the Warnors Theatre hosts live music and historic silent films accompanied by live organ music (as they were often originally shown in the early 1900’s). For more information go to http://www.warnors.org/ or call (559) 264-2848. In Fresno’s Tower District, the historic art deco Tower Theatre also offers dramatic performances, music, and comedy (http://www.towertheatrefresno.com/ / 559-485-9050). Roger Rocka’s Dinner Theater presents classic musicals paired with excellent food http://rogerrockas.com/ / (559-266-9494). Fresno’s Save Mart Center is part of Fresno State University. It features large-scale concerts and sporting events. Major national and international talent is often seen here performing for large crowds. Andrea Bocelli performed at Center’s opening and upcoming shows include Tim McGraw, Lady Antebellum, and Bruno Mars. Fresno State’s Theatre Department presents regular concerts, dramatic productions, and dance performances on the university campus (http://www.fresnostate.edu/artshum/theatrearts/ / 559-278-2216). Fresno City College offers a wide range of dramatic performance, music, and dance – including the annual City Jazz Festival ( http://www.fresnocitycollege.edu/index.aspx?page=1719 / 559-442-8221). Until I started compiling this list of performing arts venues, I really didn’t realize how many options were so close to home. There’s a lot to enjoy without driving a long distance! Unlike movies, live theatre doesn’t always come with “mature content” warnings. Always check the suitability of a performance before planning a family outing. We had a few surprises during my growing up years! 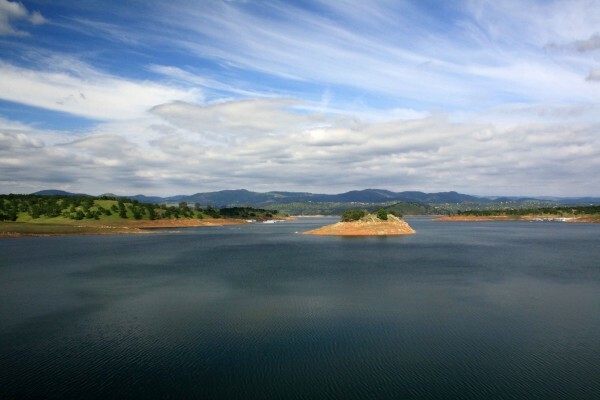 In order to provide fishing opportunities for 38 million people, the California Department of Fish and Game grows trout and salmon in 21 hatcheries throughout the state and then stocks them in lakes and rivers to supplement the natural populations. Much of this is done by truck, however in roadless areas airplanes are used. 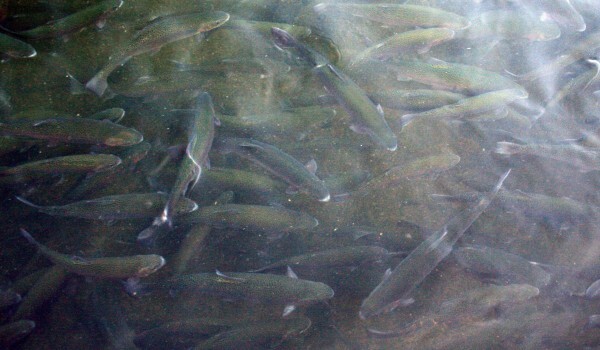 From 7:30AM to 3:30PM daily, visitors can observe and feed the rainbow trout at the Moccasin hatchery. The fish live and grow in long rectangular pools, protected from predators by a tall chain-link fence and overhead wires. Fish food is sold from a dispenser in the parking area. Bring quarters - $5 provided nearly an hour of fun the last time I visited. If you bring several children, more quarters may be necessary. Tossing the food into the water creates a feeding frenzy. It is thrilling to watch swarms of beautiful fish jumping out of the water and moving great distances in the blink of an eye. It’s great fun for all ages, especially for kids. The fish are conditioned to expect food from large vertical objects and a feeding frenzy may start when your shadow crosses the water, even if you don’t throw any food in. In the winter months the surrounding mountains block the sun by 2PM. 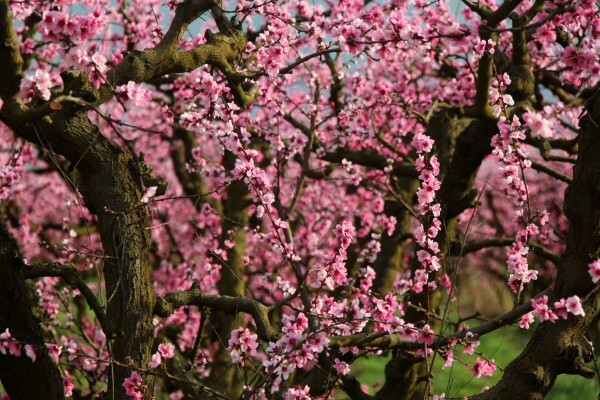 If you want to enjoy its warmth, arrive by noon. During the summer heat an early visit is recommended. Trying to catch jumping fish with your camera can be a lot of fun if you are a photographer. 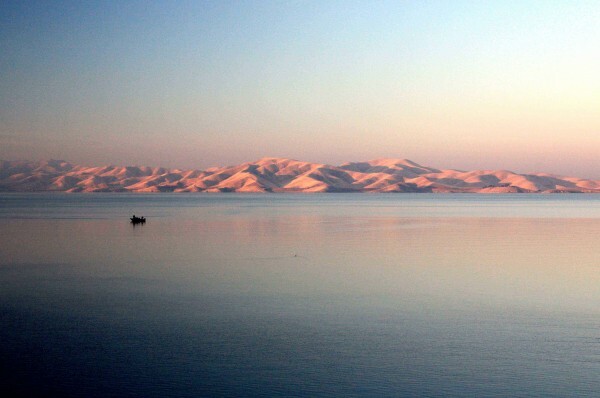 A polarizing filter is helpful to cut through the glare on the water. The hatchery is located near the junction of Highways 120 and 49. If you come from the south via Highway 49, watch for a sign indicating a right hand turn for the hatchery just before you reach the Highway 120 junction. If you come from the west on 120, turn right on 49 and look for a signed left hand turn. 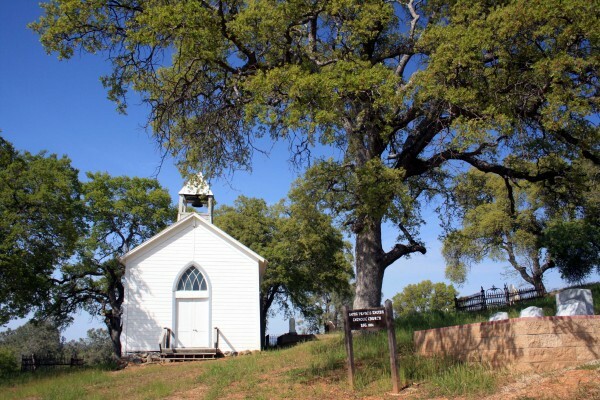 About 70 minutes from Merced, the hatchery is close to the historic towns of Coulterville, Chinese Camp, Big Oak Flat, and Groveland. 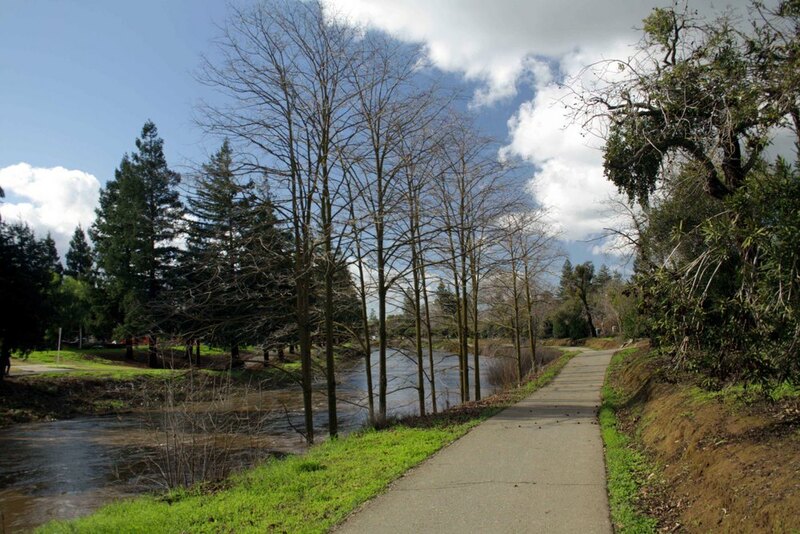 It is also relatively close to Sonora, Jamestown, Columbia State Historic Park, and Railtown 1897 State Historic Park. 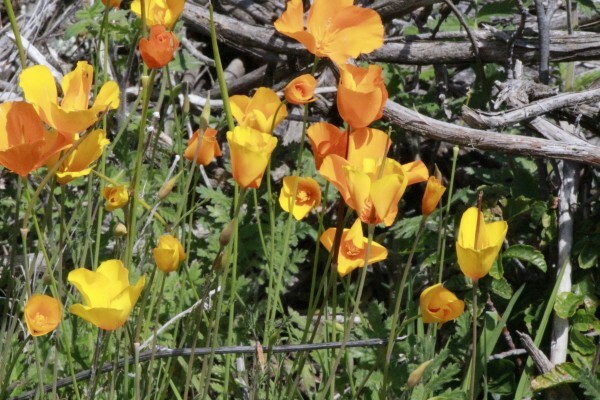 The BLM’s Red Hills Area is a great spot for a picnic or a hike in the fall, winter, or spring. 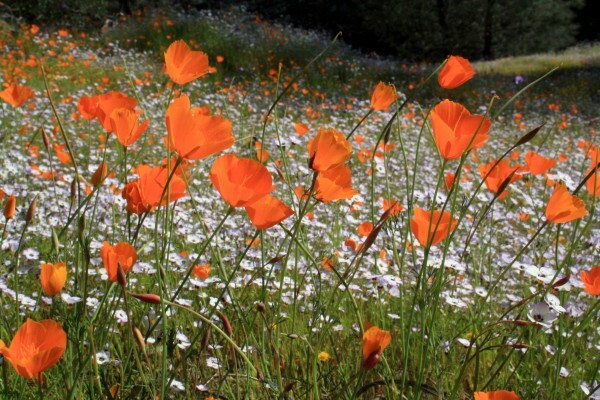 Red Hills is known for having an excellent wildflower display in March and April. 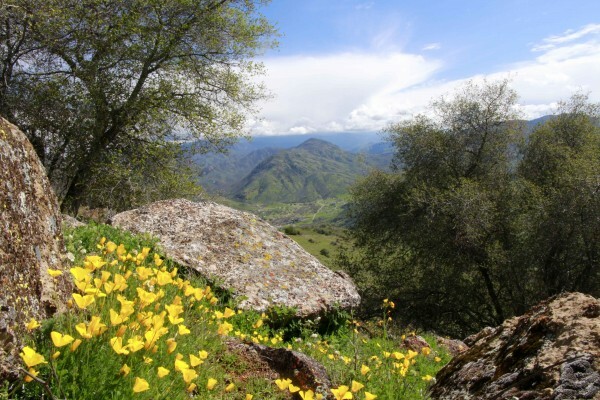 If you are headed to or from Yosemite on Highway 120, the hatchery makes a convenient stop. 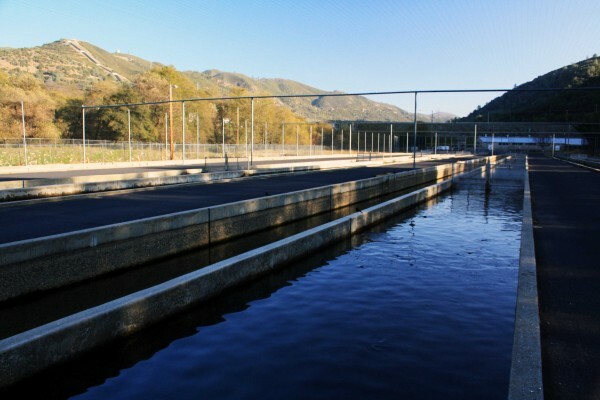 The buildings surrounding the hatchery pools are where fish are bred and hatched. The larger buildings and the pond beyond the hatchery complex are part of the Hetch Hetchy power generation system. Water is diverted from the Tuolumne River through the large pipes that descend the mountains to the east of the hatchery (penstocks). The great force of the descending water is turned into electrical power. In addition to providing electrical power, the Hetch Hetchy system supplies San Francisco with drinking water. The diversion begins at the Hetch Hetchy Reservoir inside Yosemite National Park. Signs are posted warning hatchery visitors to stay off the concrete edges of the pools. Don’t feed the fish anything other than the food sold at the hatchery and don’t try to touch the fish.